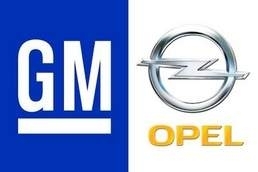 FRANKFURT -- General Motors Co. considers its strategy for turning around Opel a failure, a German newspaper reported, citing GM Vice Chairman Steve Girsky. "Unfortunately, our plan for making Opel profitable this year did not work," the Financial Times Deutschland on Monday quoted Girsky as saying in New York. The newspaper cited Girsky as saying that Opel CEO Karl-Friedrich Stracke would work out a new plan with the unit's management. In November, GM dropped its 2011 breakeven target for Opel after announcing a $300 million third-quarter loss for its European operations. GM hasn't produced an annual profit in Europe in more than 10 years and its European operations lost $1.6 billion last year. Girsky, a 49-year-old former New York investment banker, has been given charge of turning around GM in Europe after being named chairman of Opel's supervisory board at the end of November. In the FT Deutschland report, Girsky said the success of rival automaker Volkswagen, with its high pricing structure, effective cost management and success in varied markets, should be an example to Opel. "I'm amazed at their profit margins," he said. On the subject of GM's decision to boost its European sales with the Chevrolet brand, Girsky did not see a conflict with efforts to revive Opel in the region. "Other companies sell more than one brand in Europe," he said. Brands such as VW, Skoda or Audi are independently successful, but come together to share technologies, he added. "If we could achieve this as well as they do, then we could also prosper."